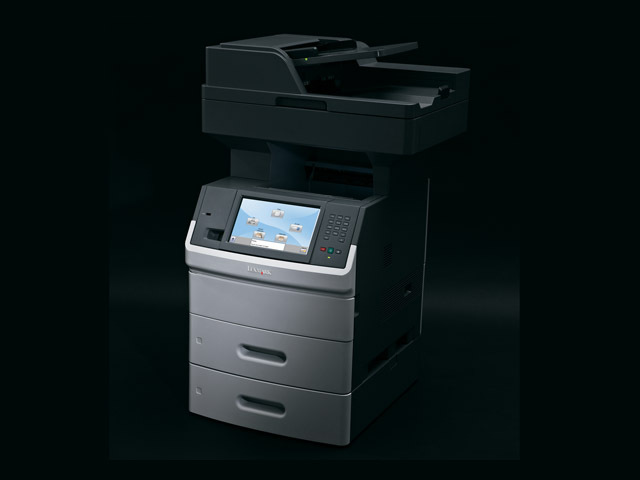 The robust, reliable Lexmark X656dte multifunction laser delivers output speeds up to 53 ppm, extra paper-input capacity, and an 80GB hard disk for expanded functionality. The extra large 9-inch (22.9 cm) colour touch screen is command central and can be tailored with the apps and shortcuts you need most. Robust and reliable for advanced performance and incredible 53 ppm output speed. 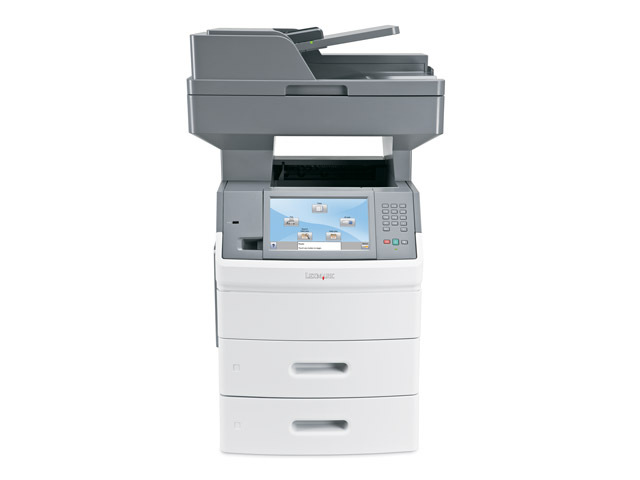 Includes an additional 550-sheet input drawer for 1,200-sheets of total standard input capacity, with options available to load up to 3,200 sheets. Upping the functionality factor – a built-in solutions framework and hard disk provided standard. Trays Extended (in. - H x W x D): 34.8 x 21.6 x 31.1 in.